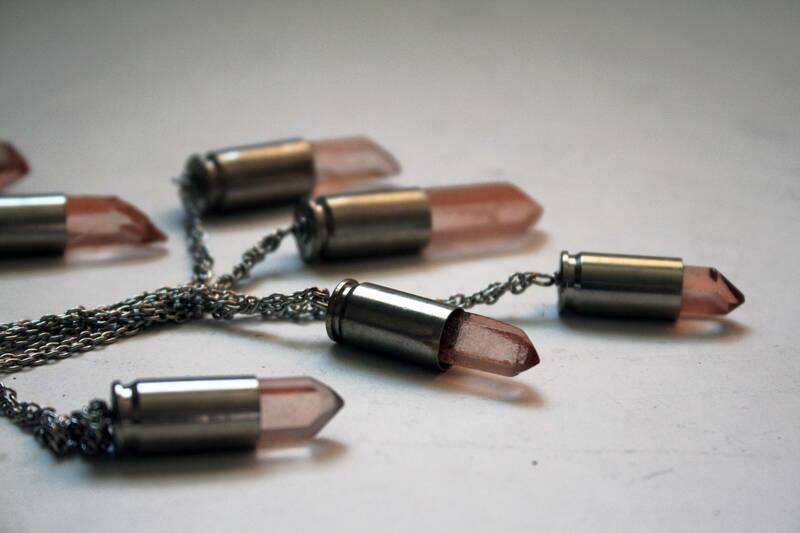 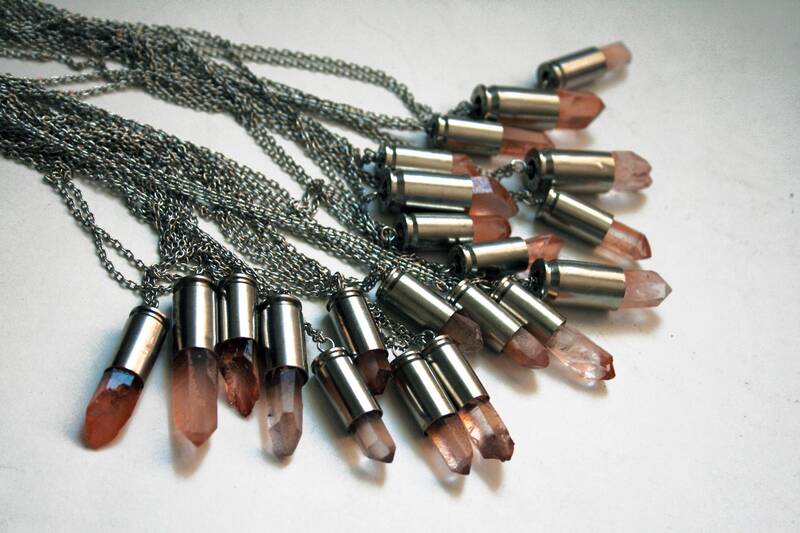 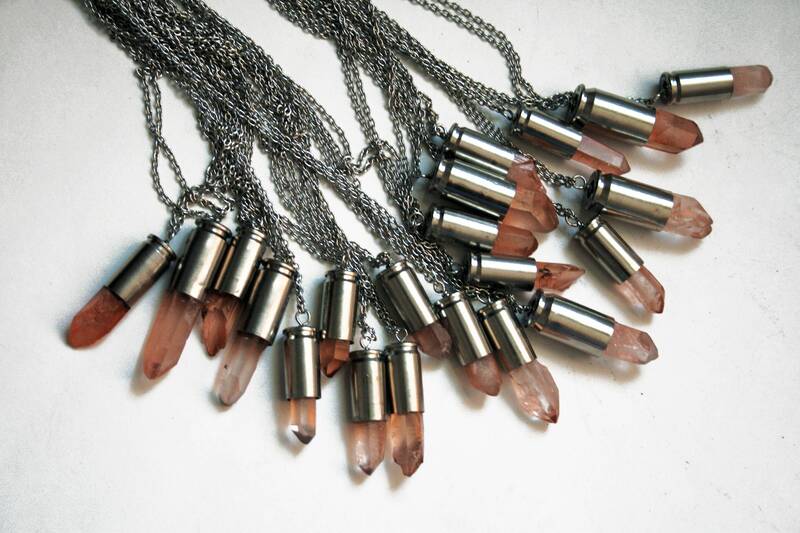 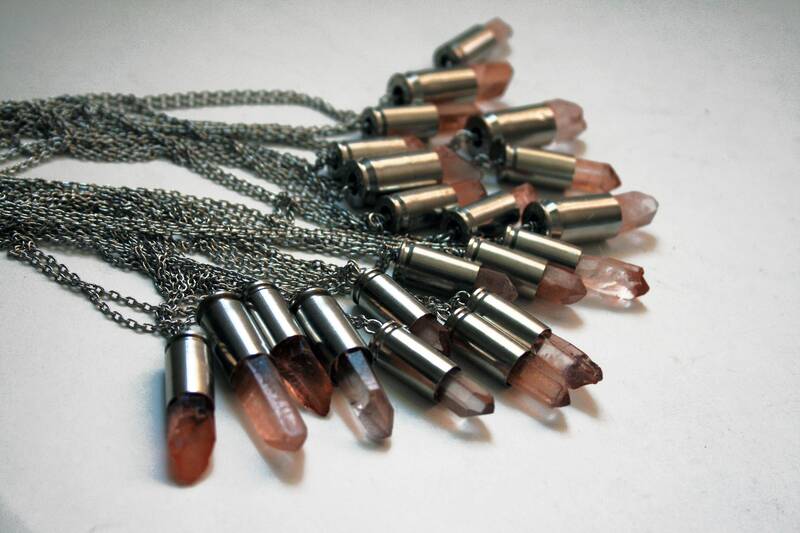 One necklace featuring a peach-to-pink watermelon quartz crystal point in a recycled silver plated brass bullet shell. 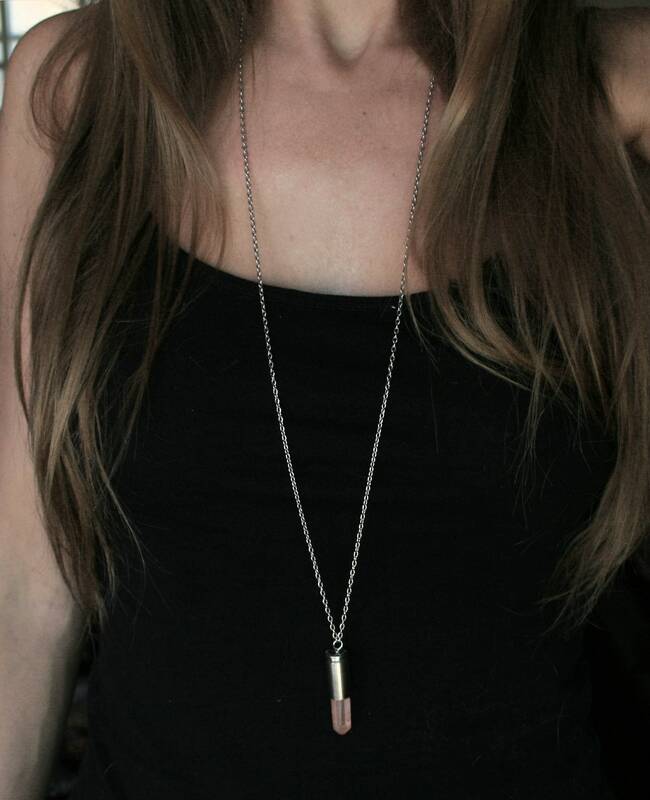 You will receive one of the items from the photos, selected at random based on the style and caliber you select. 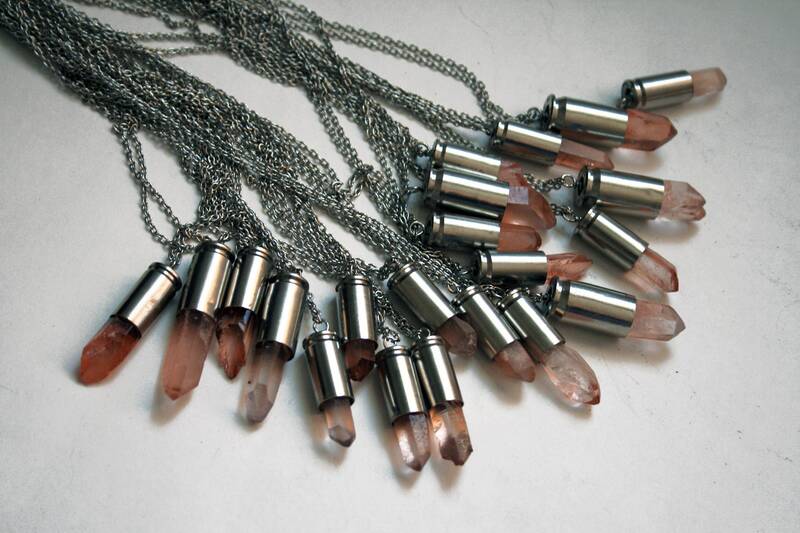 We are unable to allow buyers to select the exact piece they want at this time. 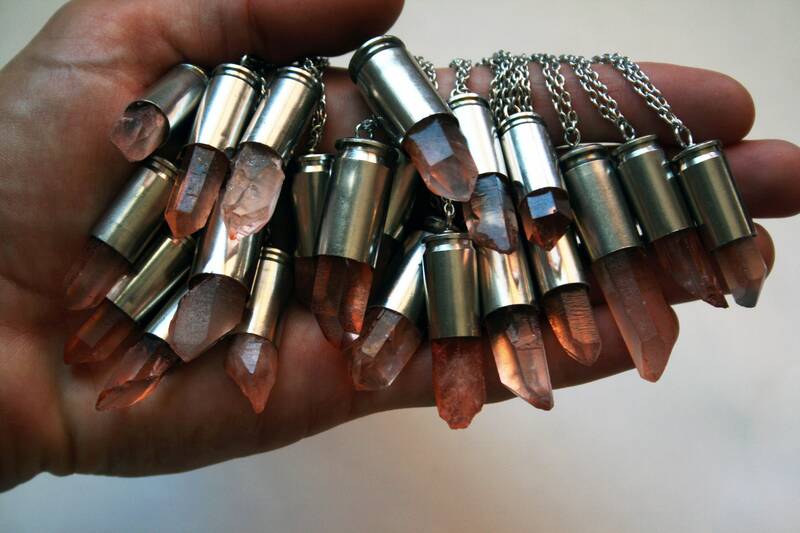 Please note these crystals vary in size, shape, and color. 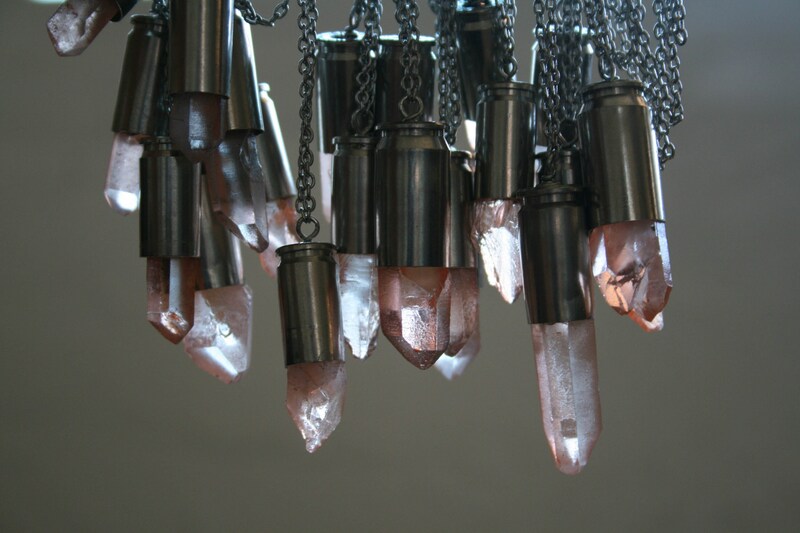 All have terminated points and may have inclusions or irregularities, except for "ROUGH QUARTZ" styles that have more irregular shapes and do not have termination.